Under a microscope at U of T Engineering, heart cells are pulsing together in a petri dish. For Professor Milica Radisic (IBBME, ChemE) and her team, it’s just another day in the lab. Although they are grown outside the body, the human tissues engineered in Radisic’s lab look and behave just like the real thing. Now, thanks to a new startup company co-founded by Radisic, they are helping drug companies test their products for dangerous side effects. 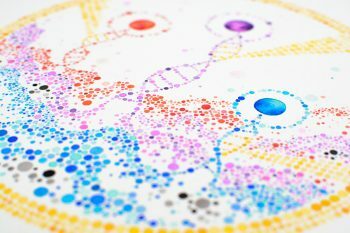 Testing on lab-grown tissues is one way for pharmaceutical companies to get detailed information on how a drug will perform in the body before proceeding to clinical trials. It avoids many of the ethical issues associated with animal testing and is also much less costly. The hope is that by flagging negative side effects early in the testing process, the new method will help companies avoid the prospect of a drug withdrawals. Growing human cells in the lab is not new, but until now the resulting cells have often looked very different from those in real tissues. This is because dish-grown cells develop in a laboratory environment that bears little resemblance to the inside of the human body. To address this challenge, Radisic and her team use their expertise in microfabrication to build innovative scaffolds for the cells to grow on. The micro-environments within these scaffolds are designed to mimic what happens in humans, resulting in stronger, healthier cells and tissues. In 2013, Radisic and her team created the BiowireTM, a method of growing cells around a silk strand that stands in for fibres found in the human heart. By seeding the cells around the strand and using electrical currents to simulate a heartbeat, the team was able to “train” the heart cells to stretch and mature the way they would in a human. They knew right away it would be a boon to the pharmaceutical industry. “We were collaborating with two pharma companies at the time, and I had a good sense that people wanted this,” says Radisic. 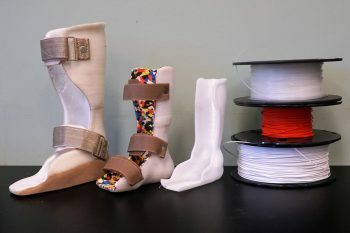 “But we are an academic lab, so the question was, how do we turn this into a product?” Radisic got in touch with Gordana Vunjak-Novakovic, a professor of biomedical engineering at Columbia University in New York. The two had previously worked together at the Massachusetts Institute of Technology, and Vunjak-Novakovic’s lab specializes in tissue engineering techniques that could further develop the BiowireTM technology. Together, Radisic and Vunjak-Novakovic began searching for investors. They quickly gained the attention of Harris and Harris Group, Inc., a venture capital firm. With their support, the duo founded TARA Biosystems, Inc. The company already has lab space in New York City and is offering its services to pharma companies, which can pay to have their drugs tested on the BiowireTM platform. The near-term goal is to cement their reputation for excellence in testing drugs for negative effects on the heart. “If you are a scientist or a head of a pharma company thinking about cardiac testing, we want TARA to be the first place you think of,” says Radisic. Eventually, the company plans to expand into other tissues, such as the liver. Despite the excitement around the new venture, Radisic is looking forward to getting back to the lab. Her team already has ideas for further improvements to the drug-testing platform, and now that they have a pipeline to the market, the race is on to develop them as quickly as possible. 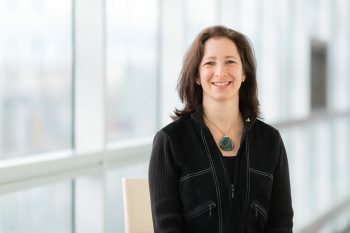 “When you are able to look back and see something you invented in lab turn into something that could improve safety, bring better drugs to market, and really help people, I think that’s very motivating,” she says.